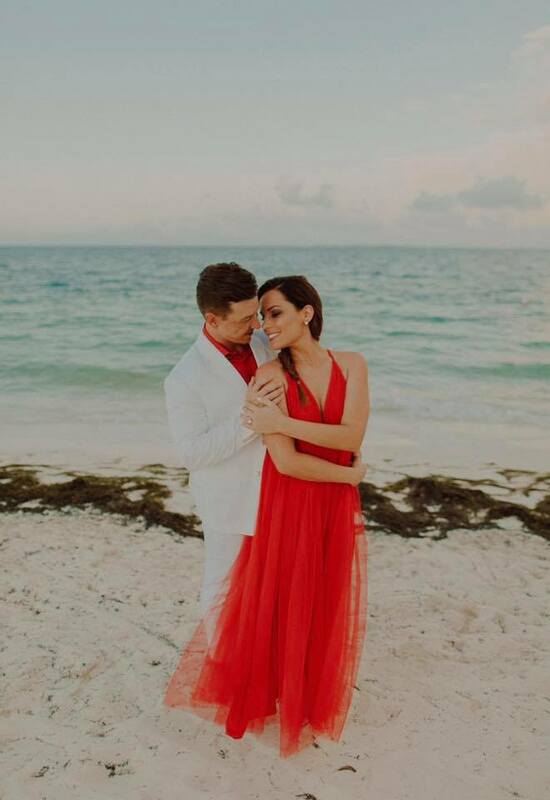 On June 15th, Tyler and Lauren said “I do” on the powdery, white-sand beach of Finest Playa Mujeres in Playa Mujeres, Mexico. 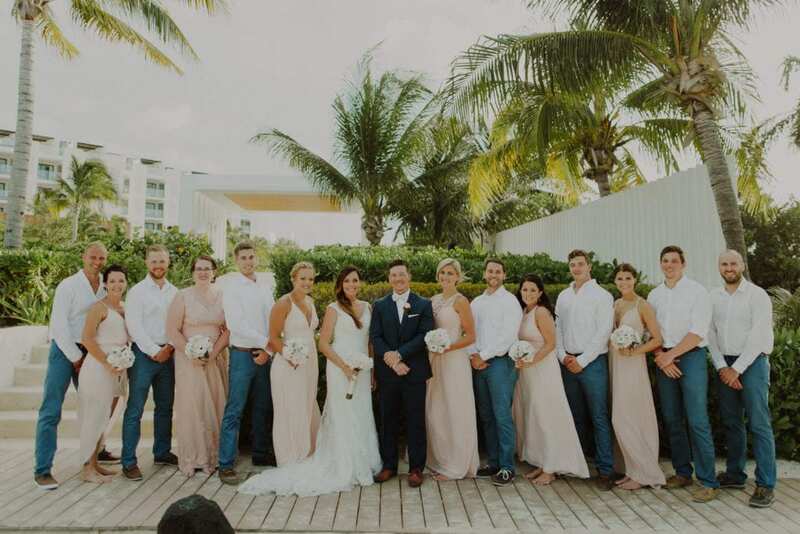 Their dreamy, oceanfront ceremony was complimented by airy details, including the guests who dressed in all-white. 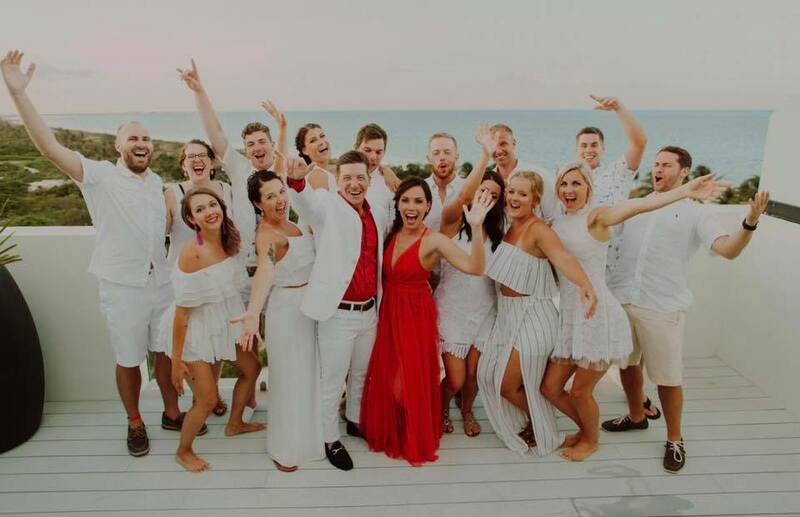 For the reception, the wedding party changed into all-white attire as well while the bride and groom stood out in red. Offering a tranquil backdrop for seaside wedding vows, Finest Playa Mujeres is located just a 25-minute transfer north of Cancun. 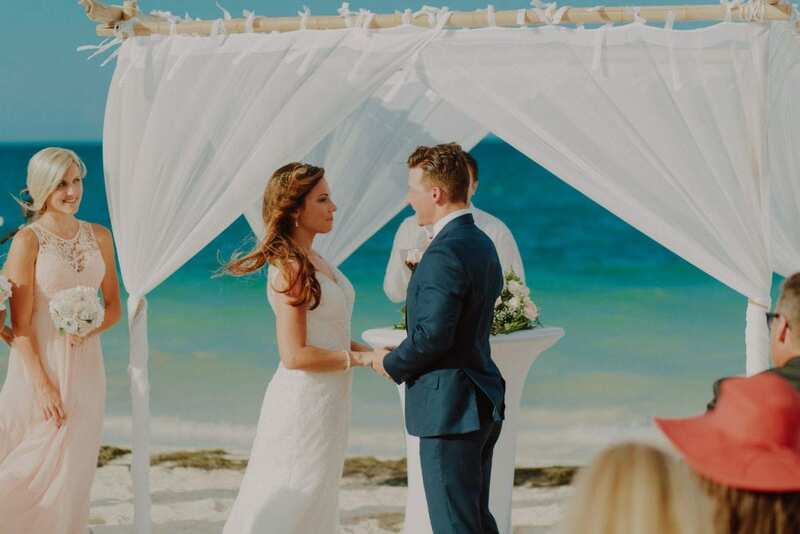 This all-inclusive and beachfront property offers family-friendly fun (with spectacular suites for guests of all ages), while also catering to an adults-only atmosphere with their exclusive Excellence Club level categories. We had known of each other from friends for a while before we met, but officially met about five years ago. It started with each of us going out of our comfort zone to meet at Old Chicago for a bite to eat with some friends. Little did we know, our lives would change from that moment. We began working out together and would follow it up by spending hours talking about whatever popped into our heads. 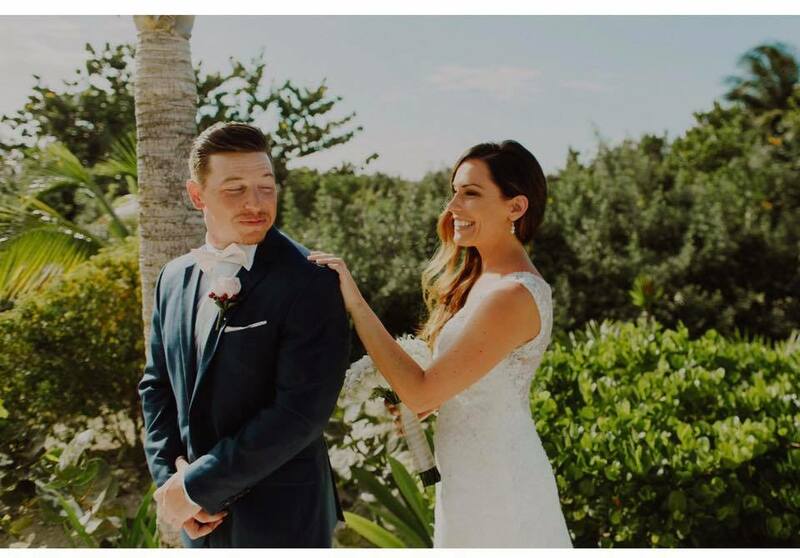 “After about 5 months of being good friends, I eventually worked up the courage to ask Lauren to be my girlfriend. 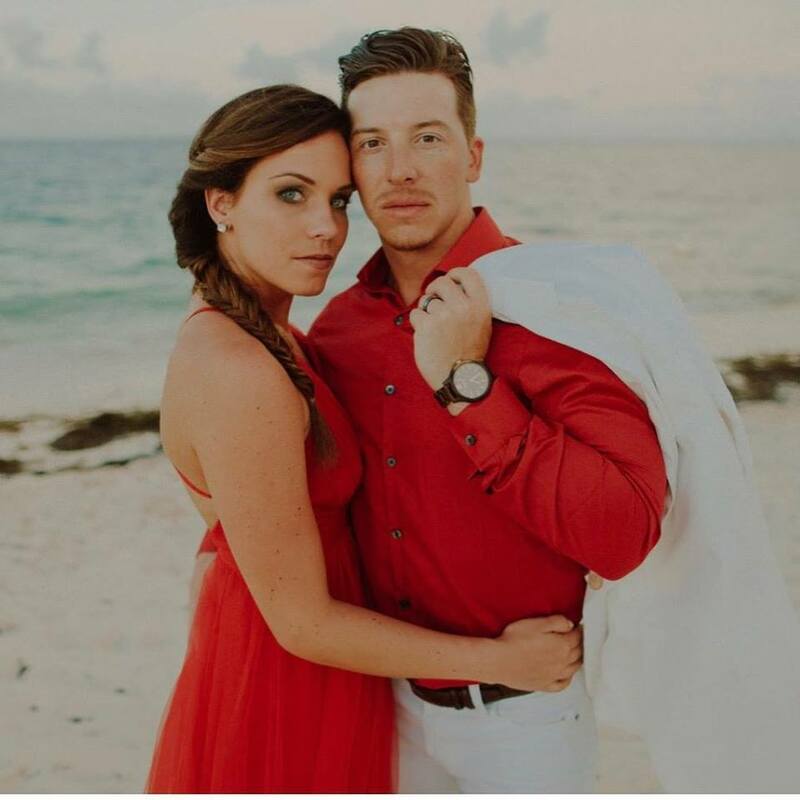 We dated for almost 3 years and then I planned a surprised photo shoot to capture the proposal,” Tyler explains. We were engaged for about 13 months. 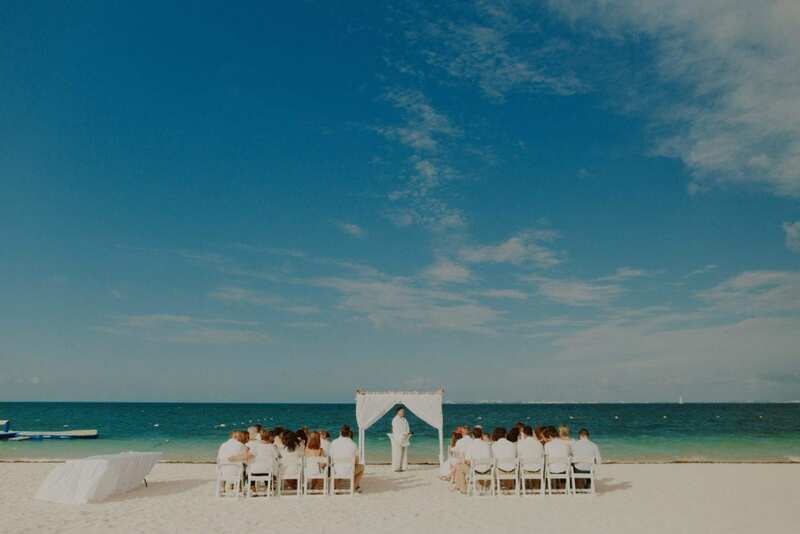 As we both love to travel, it was an instant agreement on having a destination wedding. 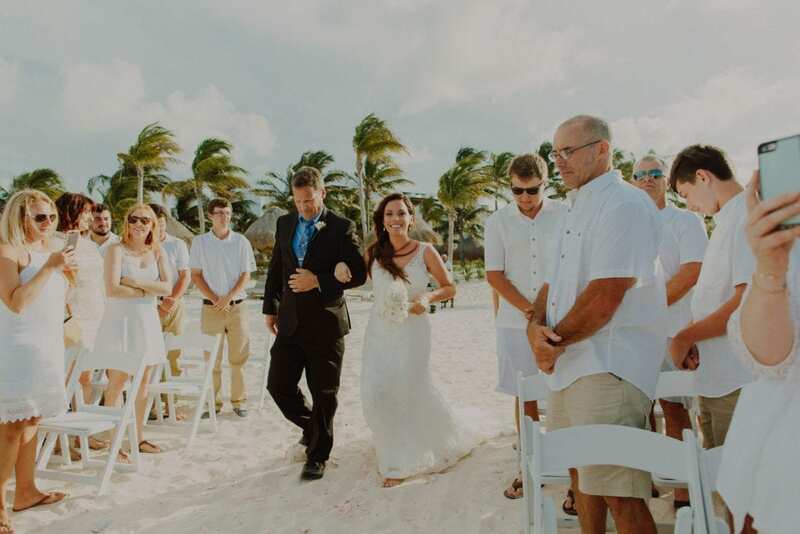 We wanted to be on a beach with our family and best friends when we got married. Our favorite aspect of the resort was that it was secluded. We really had the beach to ourselves. We also loved all of the entertainment it had to offer (hobie cats, wave runners, live performances, snorkeling, etc.)! 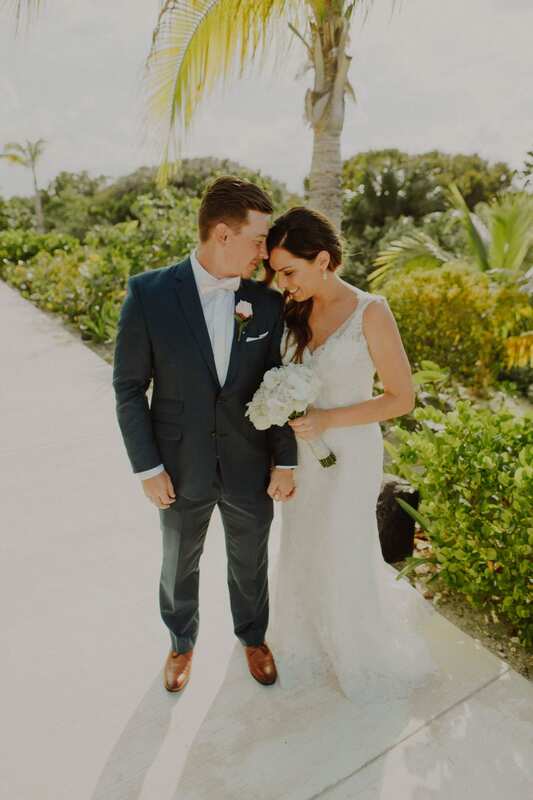 We are in agreement that the best part of the day was saying our vows in front of our family and friends on a beautiful day, with gorgeous scenery in the background. Also, having the all-white (with us in red) rooftop reception. 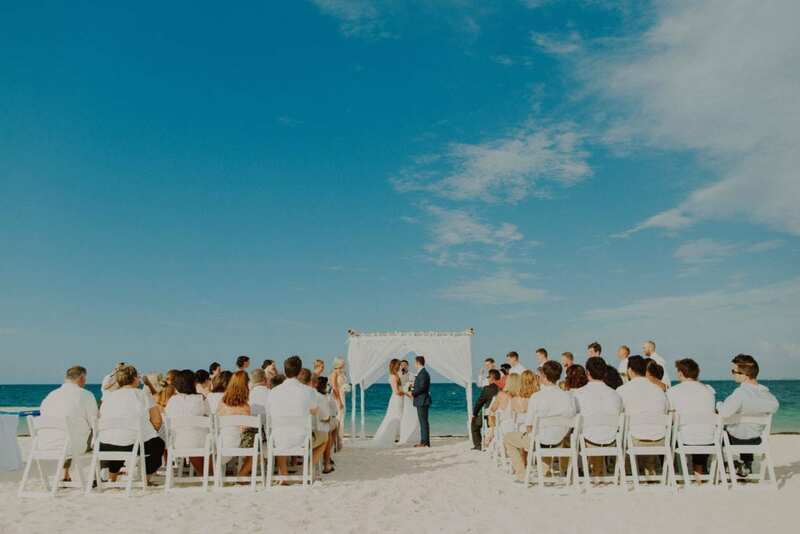 The reception area overlooked the ocean and the view was incredible!